From the Risk Unit for the detection of cardiovascular risk factors to a complete team of cardiovascular surgeons who intervene the most severe cases. 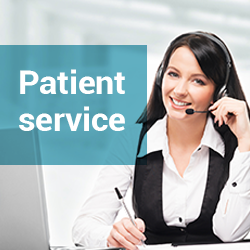 Teamwork, our unparalleled doctors and specialized health staff, innovation, training and encouraging health habits allow us to offer a different and totally personalized service with resources for all the pathologies of your heart. The Alicante Cardiovascular Institute at Hospital Clínica Benidorm works closely with the centre’s specialists in Internal Medicine, who, in the Cardiovascular Risk Unit, carry out global control of cardiovascular risk factors (Arterial hypertension, diabetes mellitus, dyslipidaemia, obesity, smoking, physical, etc.) and, when necessary, derive the patient to the best specialist for their needs. In order to guarantee more complete diagnoses and obtain better treatments and thereby promoting prevention, the institute places at the patient’s disposal its personalized cardiology check-ups which consist of a preferential circuit of all the necessary check-ups (link to the check-up unit) in the same place and on the same day (whenever necessary this can be done accompanied by an interpreter). This unit brings together the best technical diagnostic tools for heart disease (angina, heart attack, cardiac insufficiency, etc.) A team of cardiology specialists evaluate you heat function efficiently and without delays. 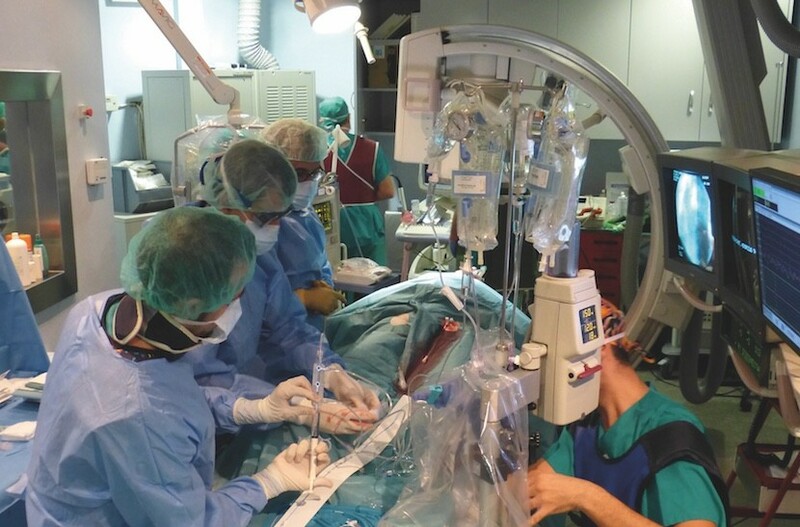 Within the ICA it is worth pointing out the “Haemodynamics and Interventional Cardiology Unit at Hospital Clínica Benidorm”, with its many years of experience and great prestige at national level due to its pioneering procedures and its team of professionals. 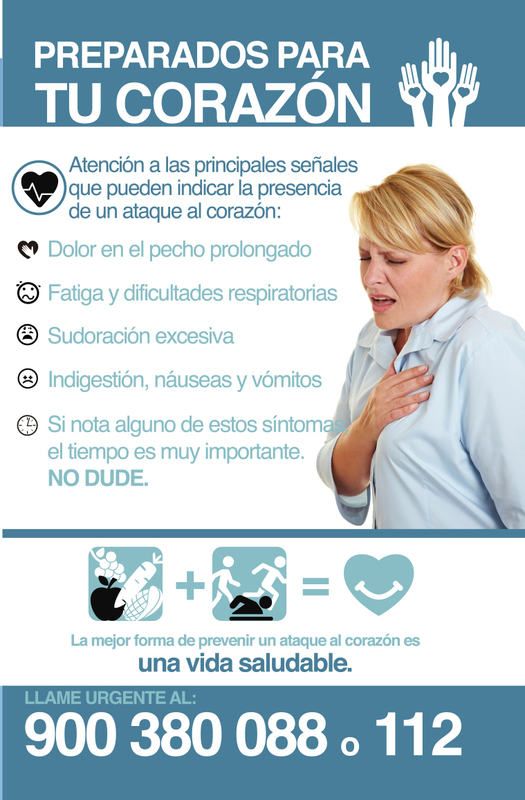 Of special mention is its “24 hours, 365 days a year” cover for the treatment of acute myocardial infarction, and for patients with angina or any type of heart attack. Furthermore, 90% of the procedures are carried via radial artery access, so avoiding complications and speeding up the patient’s recovery. The TAVI technique makes it possible to implant an aortic valve via the femoral artery and so avoid open surgery. It is recommended for patients with severe aortic stenosis who cannot be considered for conventional surgery due to the high surgical risk, and so it makes an efficient solution possible for patients with a pathology which only a few years ago had no possible solution. These days this procedure can only be carried out in centres which meet the specific requirements demanded by the European Cardiology Society. Cerebrovascular disease has a great impact on today’s society, not only due to its frequency but also because of its consequences (dementia, thrombosis, cerebral haemorrhage) and therefore this unit aims to prevent and treat the pathology. Neuroradiologists play a fundamental role in avoiding open surgery for the treatment of cerebrovascular disease. 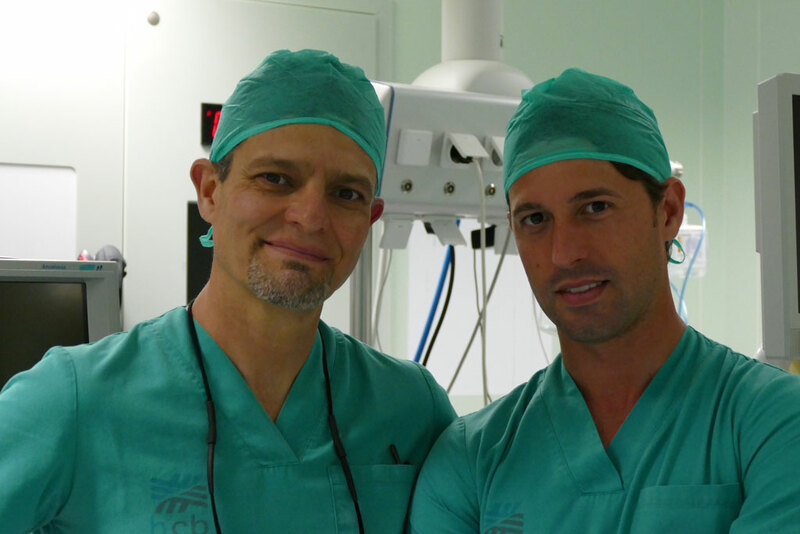 On the other hand, cardiac surgery is one of the most complex and necessary specialties in Medicine and for this reason the ICA has a team of experienced surgeons who carry out more than 400 operations a year both in public and private hospitals. The carry out open heart surgery and also treatments using minimally invasive techniques such as endoprostheses and stents, which help to reduce the patient’s recovery time. 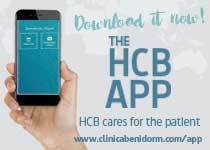 The Cardiac Electrophysiology Unit in the Cardiovascular Institute at Hospital Clínica de Benidorm aims to offer patients suffering arrhythmia their diagnostic and therapeutic techniques for resolving and controlling their illnesses with the highest level of excellence. This will be carried out basically by concentrating on the human dimension of the patient, placing this as the central axis of what we do. 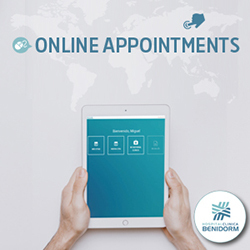 This special emphasis is very important since the other aspect upon which we base our actions, the massive use of cutting-edge technology, can result in losing the perspective that this is a medical act, where the patients, their discomfort, fears and hopes should be our primary preoccupation. The Cardiac Electrophysiology Unit works in close collaboration and communication with the Clinical Cardiologist responsible for the patient so that we can integrate our work with all the cardiology and medical aspects of the patient. The Alicante Cardiovascular Institute at HCB also stands out because it specializes in arrhythmias in its Cardiac Electrophysiology Unit. This service diagnoses arrhythmias using catheters and treats them using ablation or by the implantation of devices by one of the most prestigious specialists in the country. The extremely specialized work of the unit is making it the private reference centre for arrhythmias in the Valencia Community. The result of each examination will be explained by the cardiologist so that the patient fully understands the risk of suffering from heart disease. All the information, including the advice, will handed over in a medical report.